Track lost earbuds with the Bose connect App’s “find My buds” feature. No wires mean no limits. And Bose Sound Sport free headphones are completely wireless, so you can enjoy total freedom of movement with nothing-not even a single cord-in your way. The acoustic package is designed to deliver sound so clear and powerful it will motivate you to go faster, lift heavier and train longer. Bluetooth technology transmits music from your phone to the headphones, so music plays reliably and consistently whether your phone is in your nearby gym bag, pocket or strapped to your arm. Worried your earbuds will fall out during your workout? don’t be. Stay hear+ sport tips are built to stay comfortably in place, even when you’re training hard. And if you can’t find an earbud, all hope is not lost. 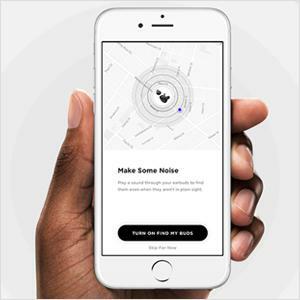 You can track down lost earbuds using the Bose connect app’s “find my buds” feature. It shows when and where the earbuds were last connected to your phone. Still having trouble finding your earbuds? don’t worry, an audio signal from the headphones can Alert you to their location. Don’t sweat your sweat (or the weather) either, because water-repellent materials Inside the earbuds help keep moisture out. Off a single charge, the earbuds play for up to five hours, and the fully charged case gives you an additional 10 hours of music, ready to play when you are. When not in use, the charging case is designed with built-in magnets to keep the earbuds securely in place. Play or pause tracks and access your phone’s Siri or your Google assistant right from the earbud. You can even take phone calls through the right earbud only. 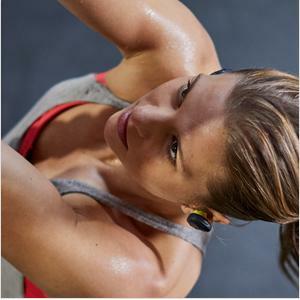 Meet your workout’s secret weapon – the first truly wireless in-ear headphones from Bose. They are truly free from wires, so you can enjoy total freedom of movement. These earbuds are packed with advanced technologies to deliver clear, powerful sound that’s full of life. No pops, cracks or hisses – SoundSport Free headphones maintain a strong and reliable wireless signal, whether your phone is in your hand, nearby gym bag or strapped to your arm. They fit comfortably and securely, so you can sprint, jump, lift, climb, twist and turn without worry. 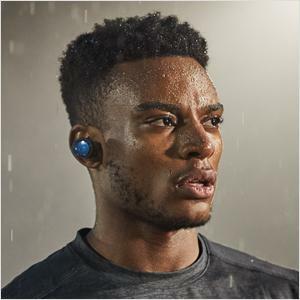 And the earbuds are designed with water-repellent mesh, ensuring that rain and sweat stay out, so all you hear is the music that motivates you. 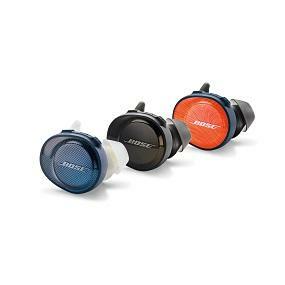 Bose obsessed over every detail to create earbuds with a strong and reliable signal. 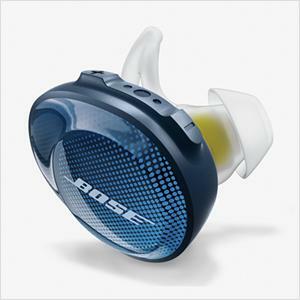 So all you hear is your music, with the kind of clear, powerful sound that takes your workout to the next level. Don’t sweat your sweat (or the rain). The earbuds are made with water-repel ent mesh (with an IPX4 rating) to make sure you can push your workout to its max without sacrificing performance. Don’t worry about your earbuds falling out. StayHear+ Sport tips (3 pairs in sizes S/M/L included with purchase) and an angled nozzle provide a secure and comfortable fit. So go ahead and put your body to the test. Your headphones will be right there with you. Take a call, play or pause tracks, change the volume or access your phone’s Siri or your Google Assistant right from the earbud. And voice prompts make Bluetooth pairing a breeze. Worried you lost an earbud? Don’t be. Just use the “Find My Buds” feature of the Bose Connect app to track when and where your headphones were last connected to your phone. Still having trouble finding your earbuds? Don’t worry, an audio signal from the headphones can alert you to their location. You also can manage Bluetooth connections, switch between devices, personalize your settings and get software updates. 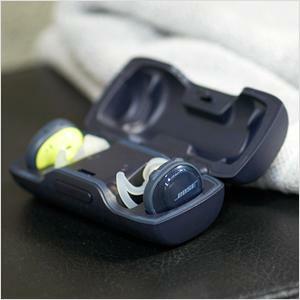 The magnetized case protects your earbuds and holds them in place while they travel in your gym bag. And while it holds them, it charges them, too. It can deliver two additional charging cycles, or up to 10 hours of battery life.